The ASUS ROG Phone is now available for pre-order in China at a starting price of 5,999 yuan (Rs.63,000). 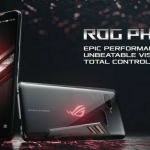 Taiwanese PC hardware and smartphone maker ASUS on September 12 launched the ROG gaming-oriented smartphone in China at an event held in Beijing. 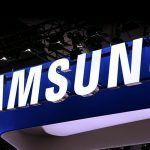 The smartphone was officially announced at Computex 2018 in Taipei earlier in 2018. ASUS has launched three variants of the ROG Phone in China. The most affordable variant with 8GB of RAM and 128GB of internal storage is priced at 5,999 yuan (Price in India is Rs.63,000 approx. ), while the 8GB RAM + 512GB storage variant is priced at 7,999 yuan (Price in India is Rs.84,000 approx.). ASUS is also offering an E-Sports Armor Limited Edition variant for 12,999 yuan (Price in India is Rs.1,36,600 approx.). The gaming smartphone can now be pre-ordered in China, with the first orders expected to ship starting September 26. 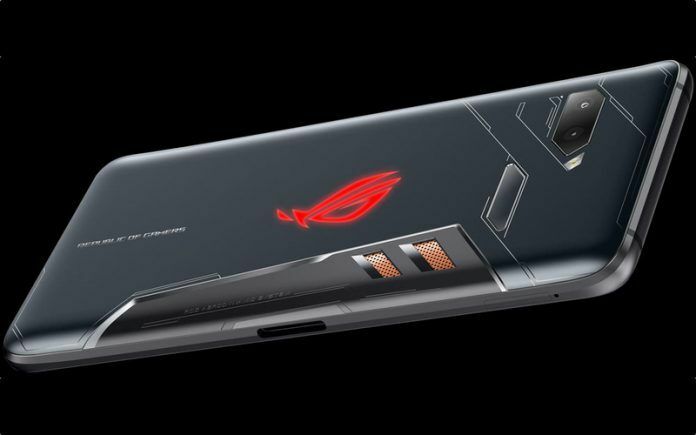 With the launch of the ROG Phone in China, we can now expect ASUS to launch the smartphone in a few more markets, including India. The ASUS ROG Phone comes with a gamer-centric design with side-mounted ports and Corning Gorilla Glass on both the front and rear. Placed in the middle is a metal frame for high durability. The ROG Phone also has three ultrasonic AirTrigger touch sensors to provide a more console-like experience while gaming. At the back of the ROG Phone is a Republic of Gamers logo with Aura RGB lighting. The gaming smartphone from ASUS sports a 6.0-inch AMOLED HDR display with 1080 x 2160 Full HD+ resolution and an 18:9 aspect ratio. ASUS claims the panel covers 108.6 percent of the DCI-P3 color space and has a 90 Hz refresh rate along with 1ms pixel response time. 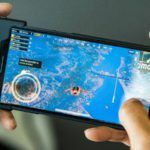 To ensure the smartphone delivers best-in-class performance for gaming, the ROG Phone runs on a speed-binned Snapdragon 845 chipset running at 2.96 GHz as opposed to the 2.8 GHz clock speed on other smartphones powered by the same chipset. It also comes with a unique GameCool vapor-chamber cooling system with a detachable AeroActive cooler that helps provide additional cooling to avoid thermal throttling. Complementing the speed-binned Snapdragon 845 SoC is 8GB of LPDDR4X RAM. In terms of storage, the smartphone comes in 128GB and 512GB options. In the camera department, ASUS ROG Phone comes with a 12MP + 8MP dual-camera setup on the back with the primary Sony IMX363 sensor equipped with 4-axis optical image stabilization and Dual Pixel phase-detection autofocus. On the front is an 8MP snapper for selfies and video calls. Connectivity features include Wi-Fi 802.11 a/b/g/n/ac dual-band, Bluetooth 5.0 Low Energy, GPS with A-GPS, GLONASS, BeiDou, NFC, FM radio, USB 3.1 Type-C port, and Dual 4G VoLTE. The ROG Phone includes a rear-mounted fingerprint sensor, just like the ZenFone 5Z. In terms of battery life, the smartphone is expected to be quite impressive thanks to a high-capacity 4000mAh battery with Quick Charge 4.0 support. 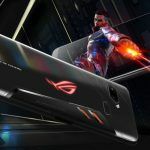 ASUS claims the ROG Phone can deliver up to 7.2 hours of Wi-Fi gameplay and 14 hours of Wi-Fi video play time. Audio is another area where the ROG Phone is extremely impressive. It comes with dual front-facing stereo speakers with dual smart amplifiers, DTS X Ultra 7.1-channel surround sound, Hi-Res Audio, and Qualcomm aptX support. Moving on to dimensions, the ROG Phone measures 158.8 x 76.2 x 8.7mm and weighs 200 grams. In terms of software, the ASUS ROG Phone will ship with the Android 8.1 Oreo operating system out of the box. 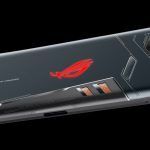 ASUS CEO Jerry Shen had confirmed earlier this year that the ROG Phone would be launched in India in the third quarter of the year. Since we are nearing the end of the third quarter, we can expect ASUS to launch the ROG Phone in India by the end of this month. As for pricing, the ROG Phone is expected to start at somewhere around Rs.60,000 for the 8GB RAM + 128GB storage variant. The 512GB storage variant, on the other hand, could be priced around Rs.85,000 in India.